Who says breakfast has to bland? 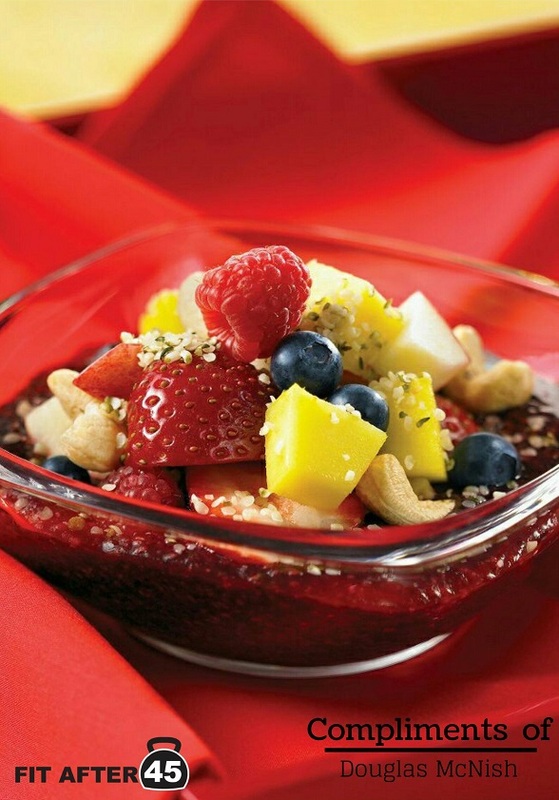 This açai superfood bowl is a fresh and flavourful way to start off your morning (or even throughout the day)! Not to mention it’s loaded with an abundance of healthy ingredients – from fresh fruit to hearty nuts and seeds. This vegan, gluten-free recipe is certainly one to try! In a blender, at high speed, blend juice, berries, chia, açai powder and vanilla extract until smooth. Transfer to serving bowl. Top with remaining ingredients. Serve immediately. Using frozen berries helps make the mixture thick and rich. You can substitute an equal quantity of frozen strawberries or raspberries for the blueberries. Açai powder is available in well-sticked supermarkets, natural food stores, and online speciality stores. Cooking since his teens, Douglas McNish is a Certified Red Seal Professional Vegan Chef. After losing 100 plus pounds, he decided to change his career and take on a plant based cuisine as his profession.